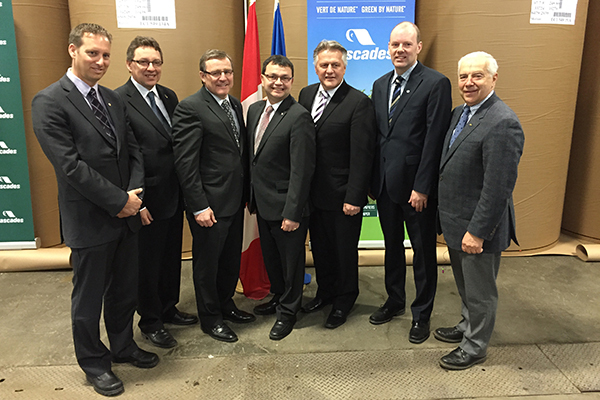 On April 10, 2015, Cascades announced a $26 million investment in a new technology at its Norampac – Cabano facility. This innovative new process – a Canadian first – is used to extract hemicellulose, a cellulosic sugar with high value-added potential, from wood chips. This project represents a major advance in biorefinery development in Canada. This new process – the extraction of hemicellulose from deciduous wood chips – will replace the use of chemical products, which would otherwise have to be purchased, shipped and disposed of responsibly. Another benefit is the plant’s reduced energy consumption, which will boost Cabano’s competitiveness. The facility’s reduced environmental footprint will position Cabano to offer products that are even more environmentally friendly than before. Hemicellulose, a natural polymer found in plant cell walls, presents myriad opportunities ranging from power generation to biofuels such as ethanol, as well as the production of natural sugar-based value-added products. 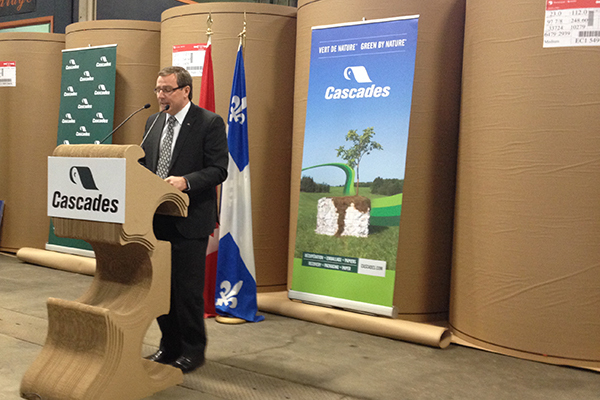 The new process will enable improvements in the efficiency and competitiveness of our Cabano plant’s current corrugated paper production process, thus making existing jobs more secure. The investment is the initial step of a plan to increase the plant’s capacity over the next few years. Once again, Cascades stands out for its commitment to developing ecological procedures!